Transfer gossip: Who's on the move in the January window? It is that time of the year again, when the rumour mill starts to crank up. Last year's winter transfer window featured little activity from the top-six sides, and Premier League clubs as a whole spent a relatively modest £215m in January. How will it pan out this time? Will top-flight clubs splash the cash? 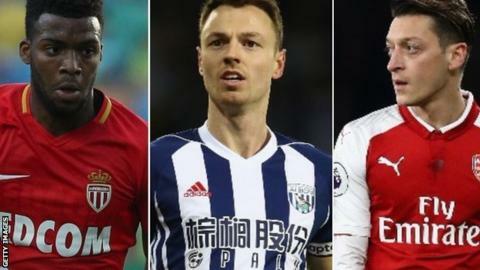 Take part in our quiz on potential Premier League movers, have a look through the players who could be packing their bags from the EFL and across Europe, and test your knowledge on previous January windows. The transfer windows in the major five leagues close at the same time, so there is a 23:00 GMT cut-off time on Wednesday, 31 January for clubs in England, France, Germany, Italy and Spain. Best known for battling for the number one spot with Iker Casillas at Real Madrid, he was on the bench when they won the Champions League in 2014 and has been a substitute for Espanyol for much of the season. Has also played for Villarreal, Sevilla and AC Milan. Linked with: Crystal Palace, Borussia Dortmund, Liverpool. PSG boss Unai Emery prefers Alphonse Areola, and Germany international Trapp is beginning to get frustrated by his lack of opportunities, particularly going into a World Cup year. Linked with: Manchester City, Liverpool, Napoli. Croatia's right-back is said to be unhappy at Atletico Madrid, despite signing a five-year deal when he joined in the summer of 2016. He has struggled for regular first-team football, with boss Diego Simeone continuing to prefer Juanfran. Linked with: West Ham, Stoke City, Everton, Swansea. The Ghana international is able to play at right-back or left-back and is being watched by a number of Premier League clubs. He is out of contract at Augsburg in the summer and the German club may want to cash in. Linked with: Manchester United, Arsenal, Barcelona. Part of Germany's Confederations Cup-winning squad, Goretzka has been compared with former Manchester United player Paul Scholes. He is out of contract in the summer and keen to leave for a new challenge. 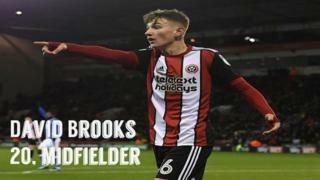 The former Stoke and Blackburn player was linked with a move back to the Premier League after he was said to have fallen out with Sevilla's former coach Eduardo Berizzo, who was sacked on 22 December. His experience of English football could make him a valuable asset. The Turkey international has not played for Barcelona since Ernesto Valverde took over as head coach last summer. He has made it clear he wants to leave the Nou Camp in January. Linked with: Barcelona, Manchester City, Liverpool. The Ivory Coast international was a target for Barcelona last summer, but Nice turned down a substantial bid from the La Liga leaders. Nice have improved after a poor start to the season but, with their chances of qualifying for the Champions League looking slim, Seri may be tempted to move in the winter. Linked with: Liverpool, Sevilla, Inter Milan. Another talented player not guaranteed a start at PSG, Pastore was once described as the best player in the world by Eric Cantona, who regularly says he wishes Pastore would sign for Manchester United. The Argentine will be hoping to be a key player at the World Cup. Sporting notoriously drive a hard bargain, and Martins is said to have a high release clause, but his performances in the Portuguese Liga have been attracting rave reviews. Linked with: Arsenal, Chelsea, Liverpool. One of the stars of Monaco's Ligue 1 title win last season, he is now a regular in the France squad and scored twice against the Netherlands in a friendly in November. Arsenal and Liverpool both tried to sign him during the last transfer window. After a great season with Nice in 2015-2016, his move to PSG has not gone to plan. His career has gone stale under Emery, who seems to have no intention of giving him any first-team football. Ben Arfa's manager at Nice was Claude Puel, and there has been speculation they could be reunited at Leicester.